McGill Student Team NutriPulse, was adjudged the third place winner among eight finalists, with a cash prize of $10,000 at the 2018 Social Innovation Challenge (SIC) held in Toronto on July 12, 2018. NutriPulse is a business initiative to combat food and nutrition insecurity among children in peri-urban and rural communities of Ghana. 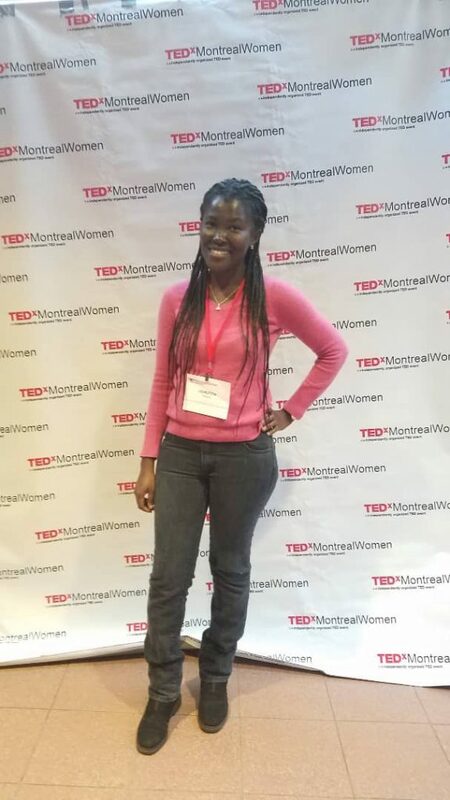 Co-Founded by Josephine Ampofo, the Chief Executive Officer (CEO) and a PhD Student, Food Science and Agricultural Chemistry; the team also include Mr. Adeyemi Adegbenjo and Mr. Zeyan Zhong, both Co-Founders and PhD Students in Bio-resource Engineering and Food Safety respectively at McGill University, Canada, and collaborators from the Kwame Nkrumah University of Science and Technology (KNUST), Kumasi in Ashanti Region. The project, which was developed from the PhD Thesis work of Josephine Ampofo, under the supervision of Professor Benjamin Simpson and Professor Michael Ngadi of McGillâ€™s Faculty of Agricultural and Environmental Sciences, improves the incomes of smallholder women farmers. The SIC is an entrepreneurship competition for students and recent graduates of Canadian Universities, dedicated to tackling some of the worldâ€™s most difficult challenges with innovative market-based social enterprise solutions being organised by the World Vision Canadaâ€™s Impact Investing arm. This year’s competition took on the United Nations Sustainable Development Goal Two (SDG 2) to end hunger, achieve food security, improve nutrition and promote sustainable agriculture worldwide. The 2018 SIC event was held in support of World Visionâ€™s Social Venture Fund (SVF), which has been created to support Canadian entrepreneurs working in developing countries, with two levels of funding. Established companies seeking support to expand into a developing market context may apply for Acceleration Stage funding between $100 – $250K. At McGill, training and support were provided through resources like the McGill Centre for the Convergence of Health and Economics, and the McGill Dobson Centre for Entrepreneurship. There were events like the Food Convergent Innovation Forum; and courses such as in the Desautels Faculty of Management and the Faculty of Agricultural and Environmental Sciences (FAES). Ghanaians students worldwide are known for their creativity, hard work, respect and peaceful nature. All over the world, Ghanaian students are found excelling in their professional fields and creativity has been one of the hallmarks of their performance. 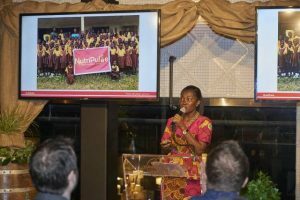 Josephine Ampofo, is one of the students making the country proud with her NutriPulse concept which won the award in the Canada competition. The post NutriPulse business initiative gains int’l recognition appeared first on Citi Newsroom.